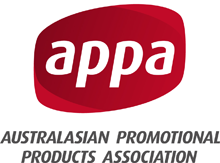 Vivid Promotional Products is Australia's leading promotional products reseller. Incorporating quality products with superior customer service, Vivid Promotions is your number one promotional product online shop. Excelling in custom printing, design services and industry expertise, rest assured your next promotional event or advertising point is great hands. Based in Noosa on the Sunshine Coast, Queensland, here at Vivid Promotions we get to live, breathe and work in paradise. Thanks to technology these days, our team at Vivid Promotions is lucky enough to work in the beautiful surroundings of the Noosa Hinterland and consult, advise and work with clients from all around the nation.